The Microsoft Xbox One X and One S are great bits of kit but they've been lacking when it comes to 1440p monitor support. This has meant that if you chose a 1440p monitor over a 4K one, the picture quality was annoyingly down-sized to 1080p - even though the Xbox is actually capable of some fancy supersampling. This is all set to change thanks to an update that's "coming soon", according to Kevin Gammill - a program manager for Xbox. Microsoft's voice assistant has been overshadowed of late, thanks to the dominance of Alexa in the marketplace and now Siri and the Homepod. But this hasn't stopped them from trying to get Cortana into as many places as possible. Microsoft's new initiative is to open up the assistant to IFTTT (If This Then That) which means it's now compatible with over 500 apps and services, most of which are smart home specific. Samsung's latest tablet has had some benchmarks leaked and it looks as if we'll see the Galaxy Tab S4 at MWC. It'll come packing a 10-5-inch screen, a 2.3GHz octa-core Qualcomm chipset, 4GB of RAM, 64GB of storage, a 12MP rear camera and a 7MP front-facing one. 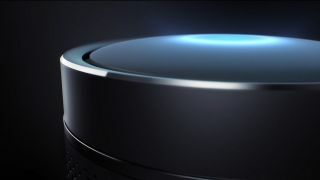 In other words: it'll be a super-slick high-end device when it's revealed. Good news for those who want to spruce up their old, but still good speaker systems - B&O has partnered up with HiFiBerry to offer a new DIY kit that lets you add wireless functionality to older speaker sets. The kit - which uses a BlackBerry Pi - is running open-source software and will let you add Airplay, or Spotify Connect functionality too. There's no soldering required but it is a little fiddly - those who don't want to tamper with anything may want to look at the Chromecast Audio as an alternative. Is the pen mightier than the mouse? Microsoft thinks so and wants you to do a swap. That's according to a new patent that's been found which shows that Microsoft may well be working on a new Surface Pen - on that mimics mouse scrolling and makes it easy to scroll through long documents and web pages. The current Surface Pen does some of this but is rather limited in its use, so any upgrade gets the greenlight from us!